This is absolutely unreal & it could lead to violent acts being committed against Republicans & conservatives. On Wednesday, Fox News reported that the Democratic governor of Virginia, Ralph Northam, caused an uproar after suggesting that “non-viable” “born-alive” infants could be aborted (after birth) under a new state measure that he supports. Then, on Friday, a yearbook picture of Northam surfaced from when he was in medical school. 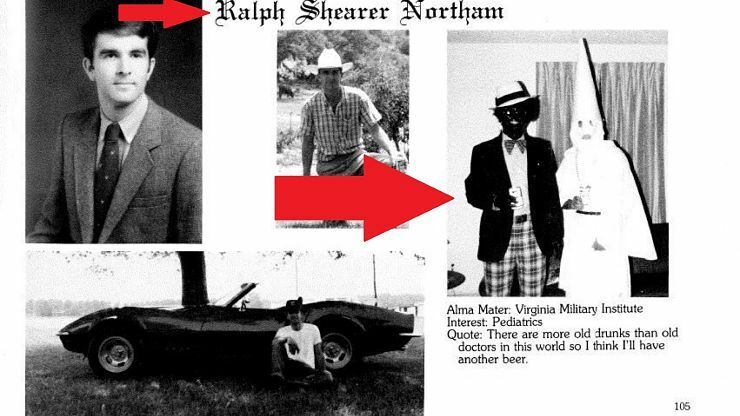 It showed Northam & another person in KKK garb & blackface. A firestorm erupted, with many on both the left & the right demanding that Northam resign. Northam issued an apology in a video he posted online which was then published by all the major news networks. CNN aired Northam’s apology with the network’s own Anderson Cooper commenting on it. 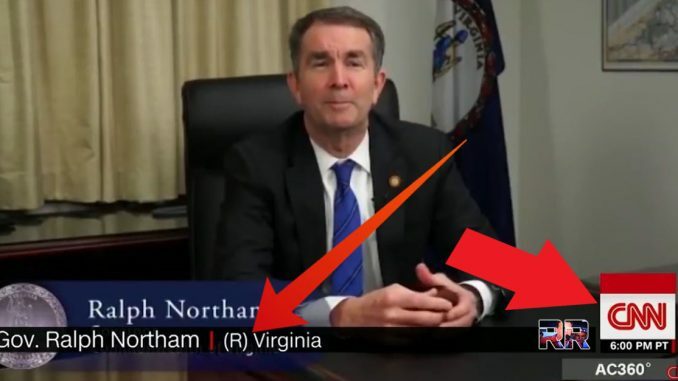 The funny thing is, CNN overlayed a graphic depicting Northam as a REPUBLICAN (R), when in fact, the Virginia governor is a DEMOCRAT. I recorded a portion of CNN’s video in case they scrubbed it (CNN has in fact taken the video down from YouTube). Share this if you think CNN should be shut down! “CNN — the network that promotes the hashtag #FactsFirst — mislabeled embattled Virginia Gov. Ralph Northam as a Republican on Friday during a segment about the Democrat’s apology for his racist 1984 medical school yearbook photo. Anderson Cooper tweeted the video out, and then deleted it after a massive uproar on social media. Cooper tweeted a corrected video today and acknowledged what CNN did (Of course he didn’t say they did it on purpose, which they surely did). CNN should be sued or worse for what they did and continue to do. People are literally being attacked, sometimes physically, for being conservative or for supporting President Trump. CNN is stoking hatred that could lead to violence from those on the left and they are purposefully trying to divide the country even more than it already is. For that alone, the fake news organization should be investigated for treason & its employees involved sentenced to prison.